I conducted the strategy, user research, IA, prototyping and QA phases of these projects (listed below) which included C-level stake holder interviews to determine the organizational goals and key performance indicators for the digital brand. 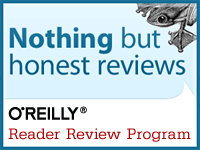 I did the heuristic review, user research, and analysis of the web analytics to determine the best strategies. 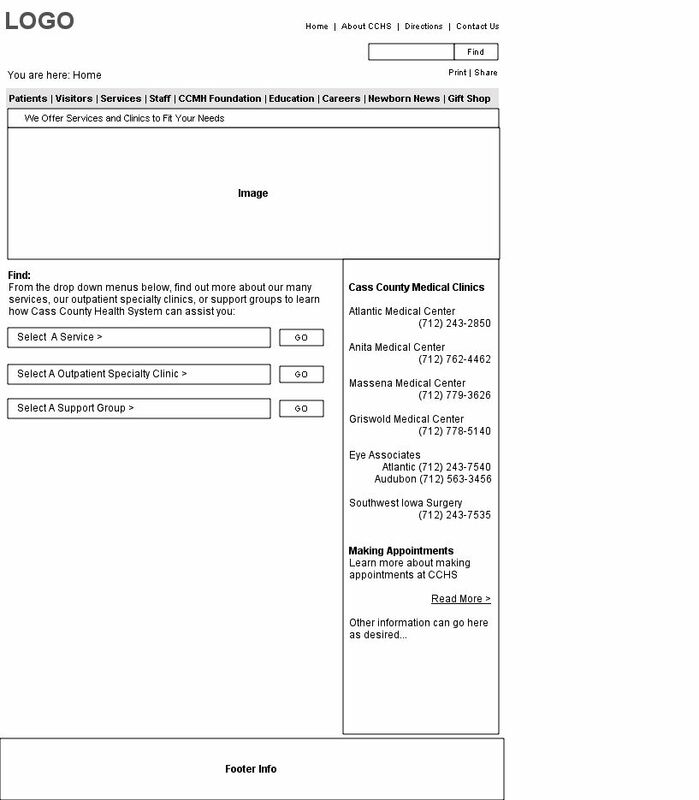 I also created and provided the client with the deliverables outlined below. I then oversaw and provided both internal/external feedback throughout the design, testing, and deployment phases of each product. After deployment I tracked data against the KPI’s and, in some cases, conducted ongoing usability research to optimize and grow the digital brands. 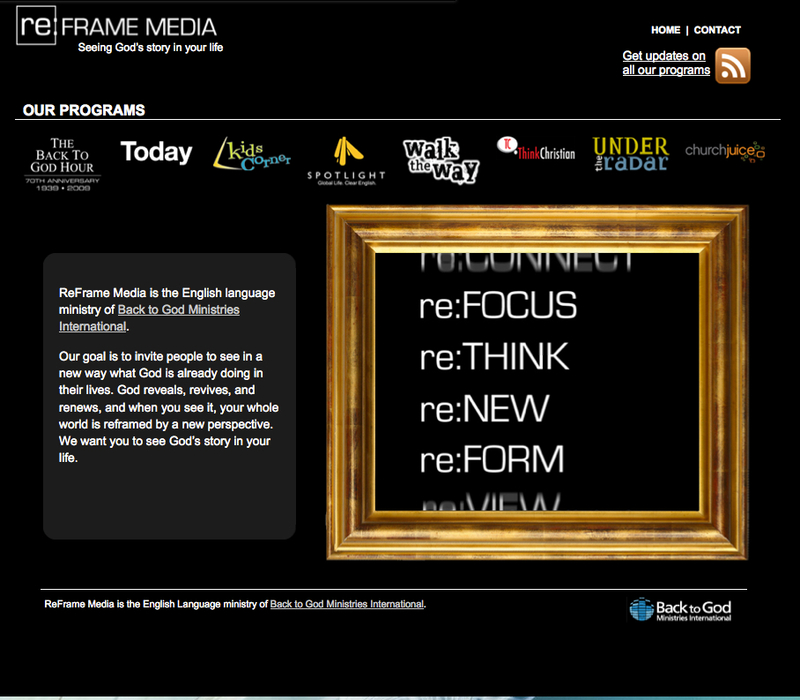 ReFrame Media was a new umbrella-brand created to consolidate numerous English sub-brands (called “programs”). The primary goal for the redesign was 2-fold: 1) expose users to the various sub-brands and 2) encourage long-term participation through a content strategy and various social engagement campaigns. 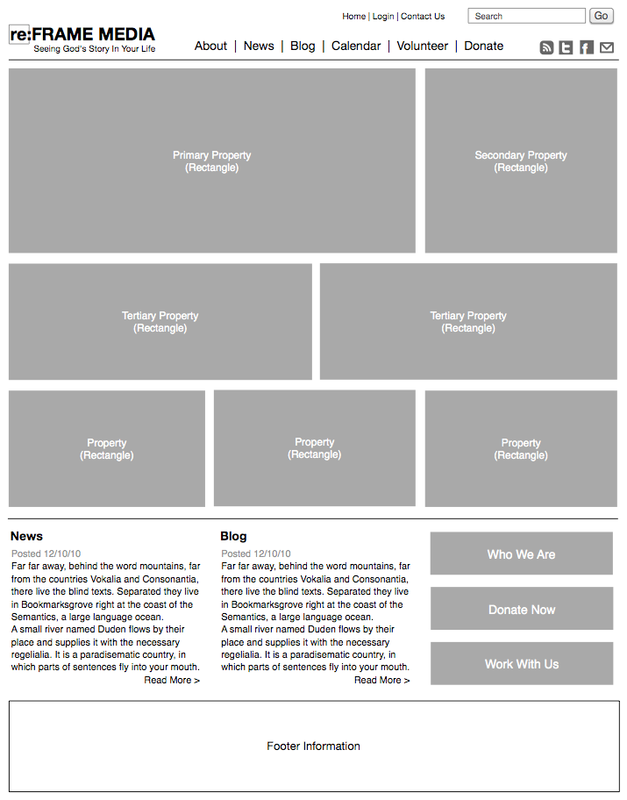 I architected the site so users could quickly scan the widgets to learn about the sub-brands, rearrange the widgets to their choosing, and visit the sub-brand sites all from this dashboard concept. Under the “Programs” section, users can see a world map with real-time activity of visitors engaging the sub-brands. The results: 50% increase in unique visits and page views increased 200%. 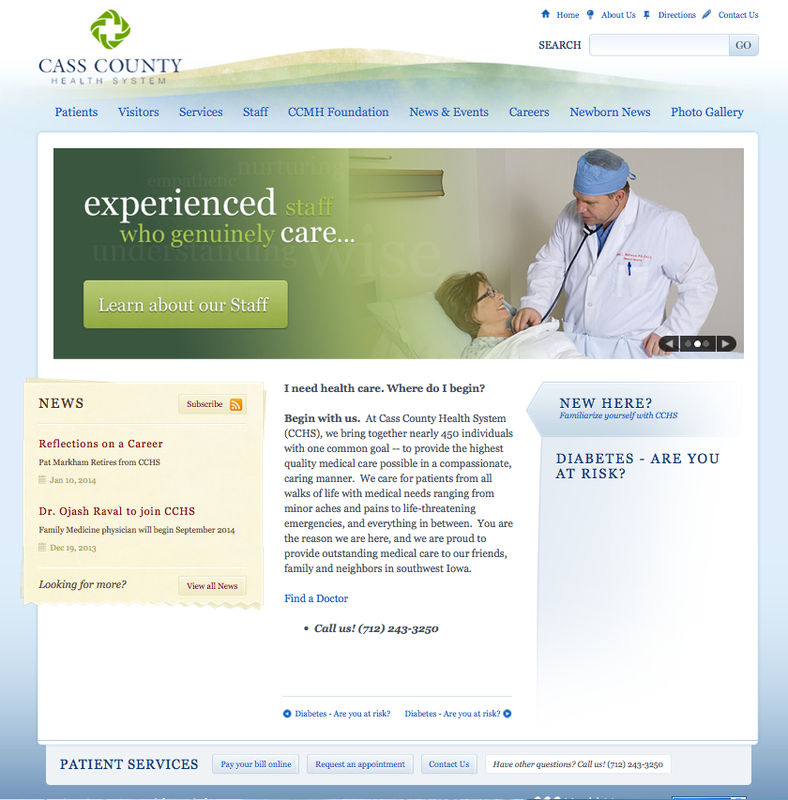 Cass County Memorial Hospital was rebranding as Cass County Health System (CCHS). The new brand was more people centric than facilities oriented. They needed an emphasis on staff and services, not on the building and technology. 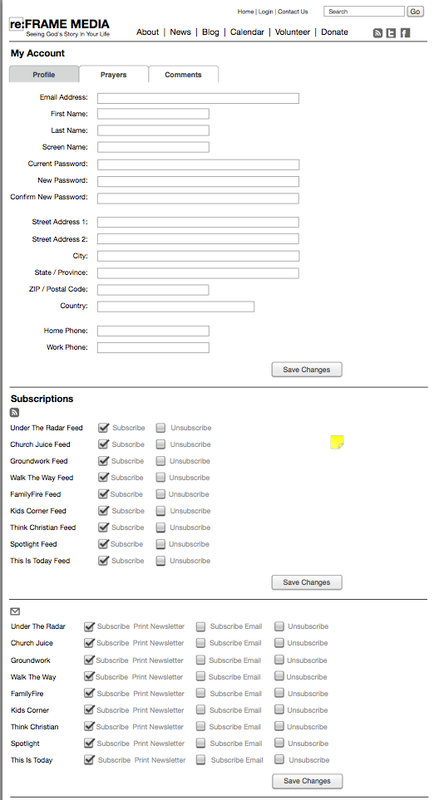 As I updated the architecture I made sure the section labels were user-centric as well as the sub-sections. 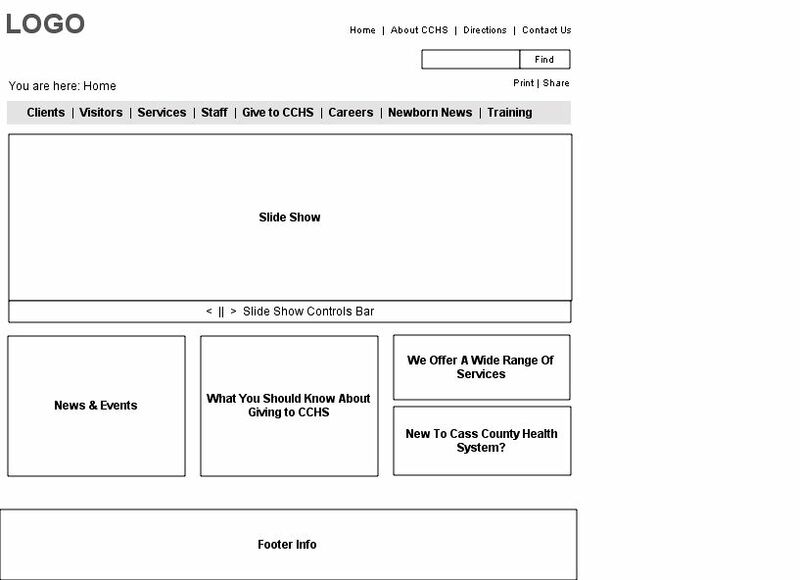 The content strategy also emphasized user-centric wording and needs related verbiage. 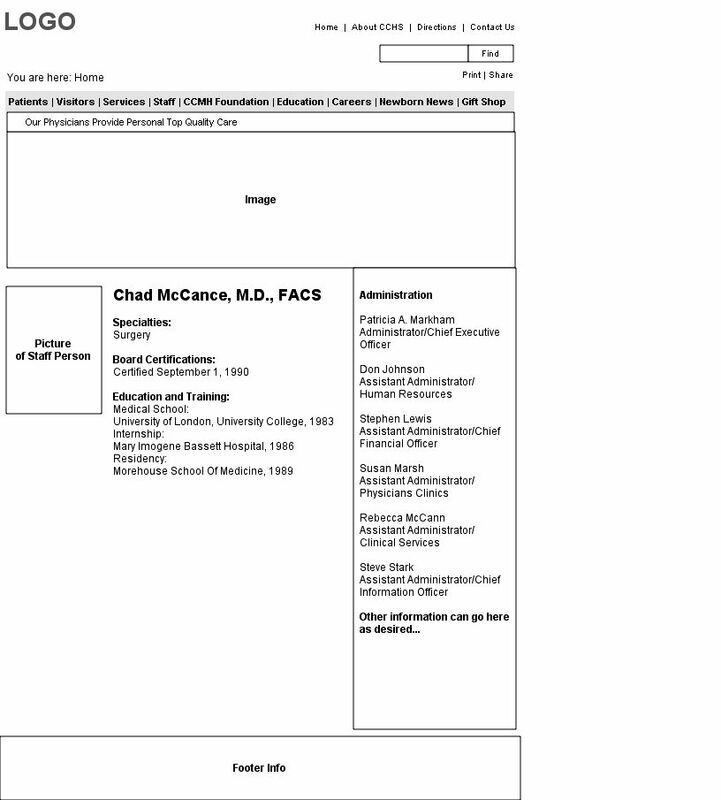 The results: the website has become the hub of patient-physician activity and CCHS continues to expand because of their reputation and ease of use. 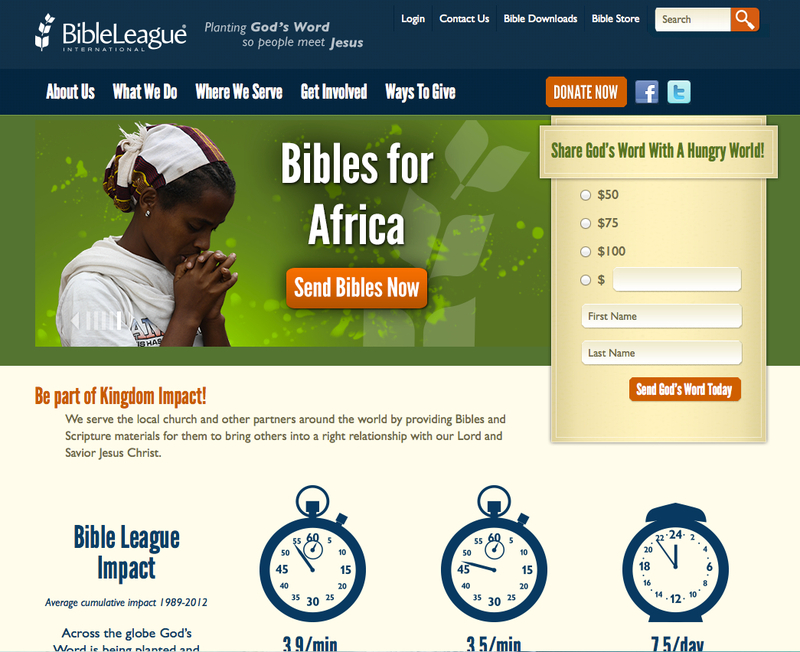 Bible League International needed help with branding, donations and user engagement. 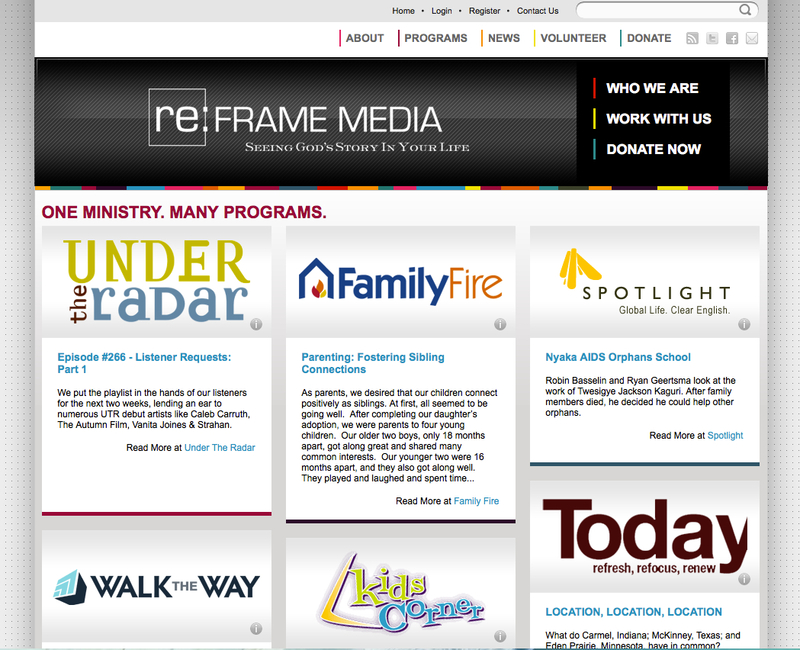 Creating a consistent header with the logo and new branded color palette saw immediate success. 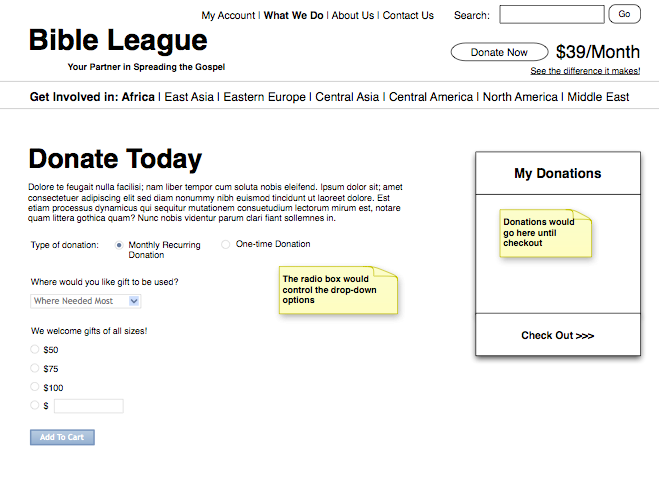 The redesigned information architecture made ease of donating immediate. After reviewing the analytics the most visited page was About Us. 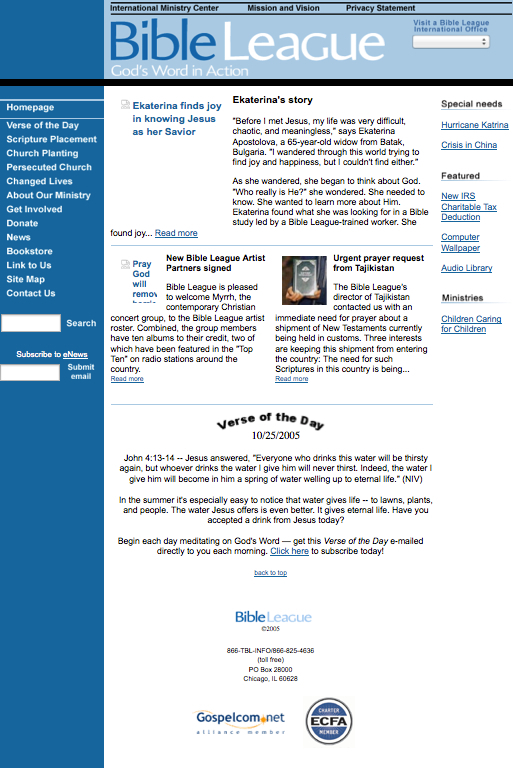 Many users were new to the organization and wanted to know more about getting involved. 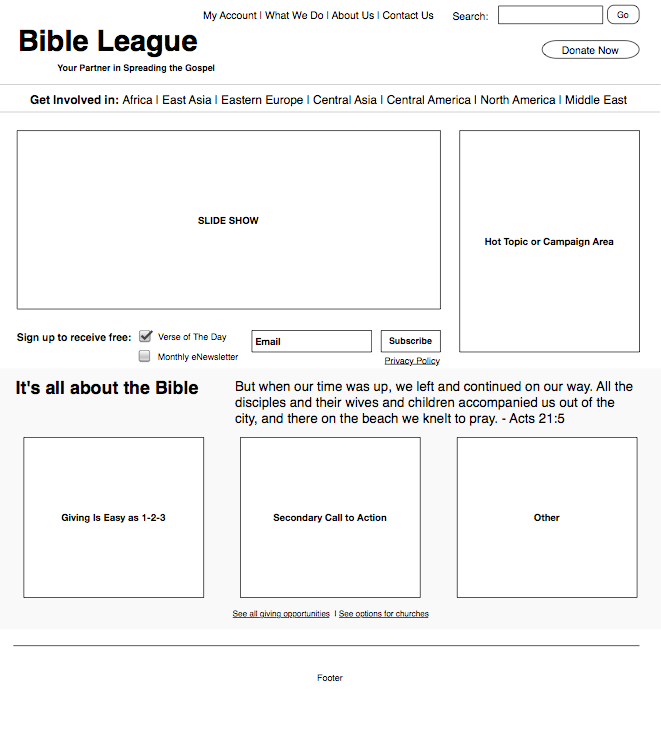 The site map was totally restructured to help users better understand the unique projects the organization was involved in around the world. Finally, a content, SEO, and social media strategy were implemented driving people to the website and keeping them engaged. The results: between 30-90% increases across all KPI’s within the first 6-9 months of deployment. 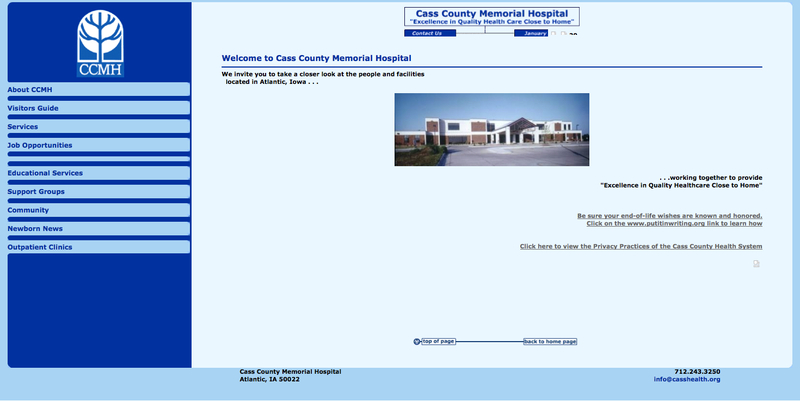 Declining user engagement, clutter, and lack of focus were the issues for this project. 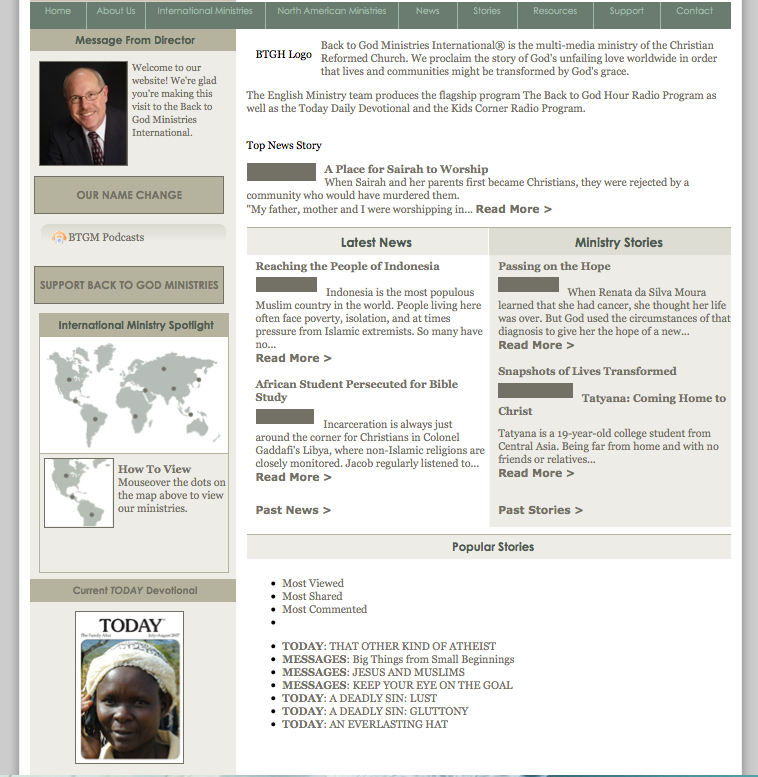 Creating a featured stories slideshow, email subscription, and donations emphasis saw immediate results. 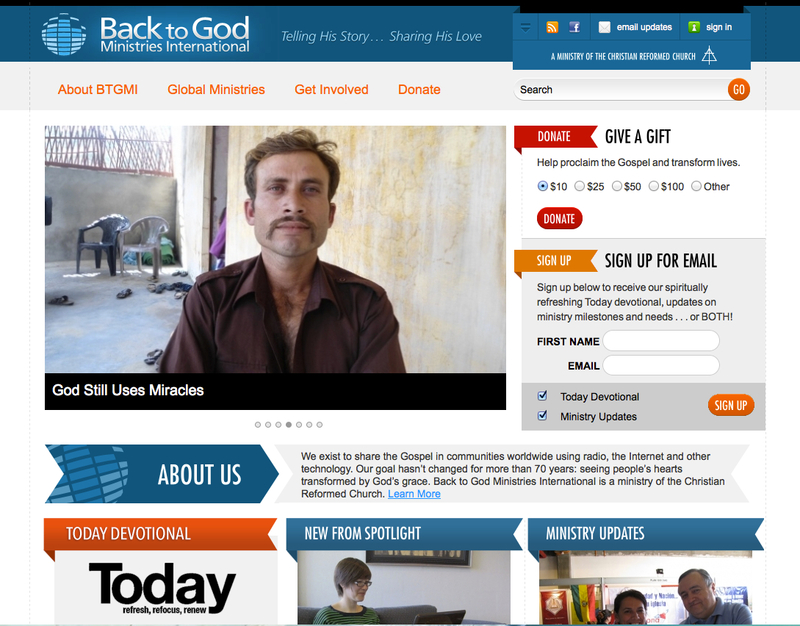 A content strategy brought added awareness to life-changing stories and compelling international projects. The results generated a 13% increase in unique visits.